#69: Hey Guys! Austin Evans geeks out with me and shares an inspiring story about losing everything. With over 3.2 million YouTube subscribers, Austin Evans is one of the biggest names in the tech sphere. This week he joins me to geek out over cars, tech, give advice on building a successful YouTube channel, and share a heart touching story about fellow geeks uniting after tragedy. 22:45 Something to consider regarding Freedom of Speech and Net Neutrality. 35:22 Details on the Microsoft Surface Go. Niko ... See More joins me to talk about EDM, the radio business, and his other hobbies. 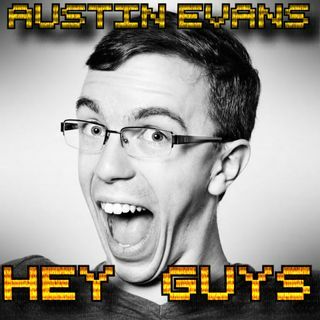 Austin Evans geeks out with me and shares a wonderful story. Microsoft Surface Go and guest Niko.